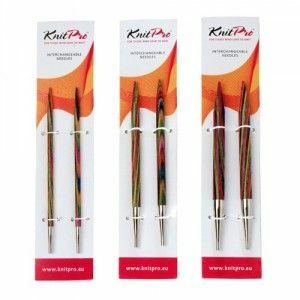 Interchangeable Circular Needles in wonderfull rainbow colours. Length: 128 mm. Made of laminatedcoloured wood. One Single Ended Basix Birch Crochet Hook. 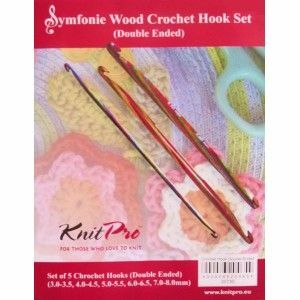 Set includes: - 3 pairs of needle points (Nova Metal 4mm, Symfonie Wood 5 mm, Spectra 6 mm) - 2 cable needles: 60 and 100 cm. - 4 cap ends. - 2 cable keys. - A vinyl needles case. Special Edition interchangeable circular needle set Presented in a designer wooden box with leatherette finish. 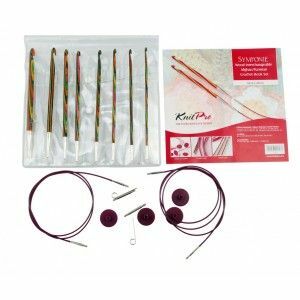 Set includes: 8 needle pairs (3.5mm, 4.0mm, 4.5mm, 5.0 mm, 5.5mm, 6.0mm, 7.0mm, 8.0mm), cables (40, 60, 80, 100, 120 cm), 8 end capsand, 4 cable keys, 1 shawl pin and a wooden box. Set includes: - 8 pairs of interchangeable needle tips (3'50, 4'00, 4'50, 5'00, 5'50, 6'00, 7'00, 8'00 mm). - 4 cable needles ( 60, 2x80, and 100 cm). - 8 end caps. - Cable keys. - A vinyl needle case. 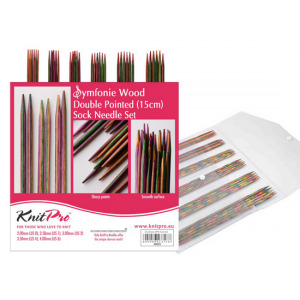 Coloured wood straight needles set. 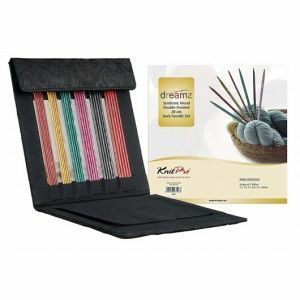 Set includes 8 pairs of needles (3'5, 4, 4'5, 5, 5'5, 6, 7 and 8 mm) and a jacquard needle box. 35 cm length. Coloured wood double pointed needles. 15 cm length. 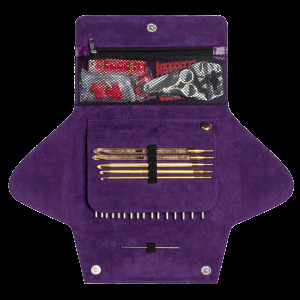 Set include: double pointe needles ( 2, 2'5, 3, 3'5 and 4 mm) and a vinyl needle case. 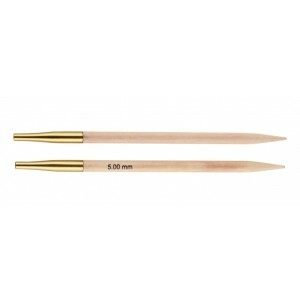 Set of 2 Basix Birch Wood Single Pointed Needles. Lenght 40 cm. 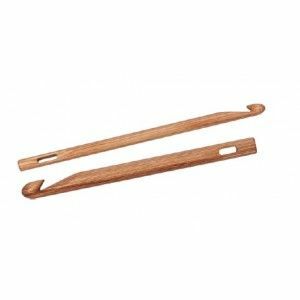 Coloured wood crochet hooks . Set includes: 5 crochet hooks ( 3'5, 4'5, 5, 6 and 8 mm) and a vinyl case. 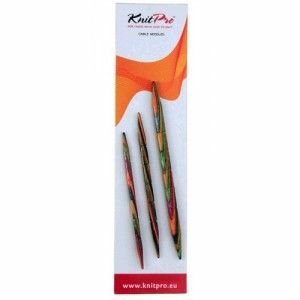 Coloured wood double pointed crochet hooks. 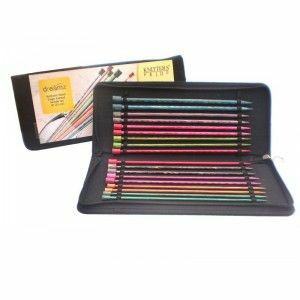 Set includes: 5 double pointed crochet hooks (3-3'5, 4-4'5, 5-5'5, 6-6'5, 7-8 mm) and a vinyl needle case. Coloured wood tunisian crochet hooks. Set includes: 8 tunisian crochet hooks (3'5, 4, 4'5, 5, 5'5, 6, 7, 8 mm), 4 cable needles (60, 2 x 80, 100 cm), 8 end caps, 4 cable keys and a vinyl case. 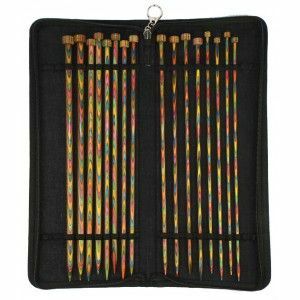 Set of 30 Symfonie Dreamz Double Pointed Needles (6 sizes – 5 needles in each size: 2.50, 3.00, 3.50, 4.00, 4.50, 5.00 mm) packed in an attractive Black jacquard fabric case with see through window. 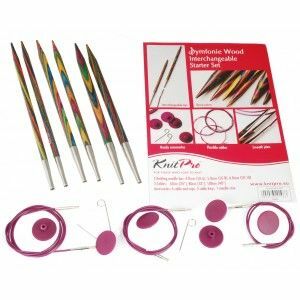 Interchangeable Circular Needles in wonderfull rainbow colours. Made of wood. 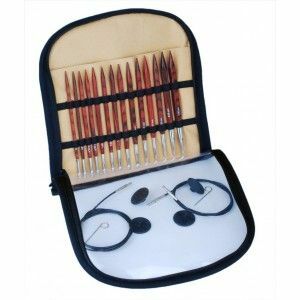 Set includes: interchangeable needle tips (4,5 y 6 mm) , 3 flexible cables (60, 80 y 100 cm), 6 end caps, cable keys and a vinyl needle case. 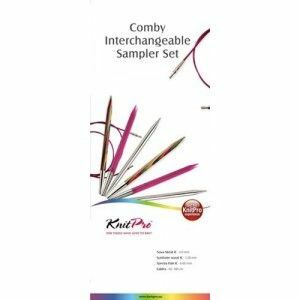 Set includes: intercangeable needle tips ( 9, 10 and 12 mm), flexible cable needles ( 60, 80 and 100 cm), 6 end caps, 3 cable keys and a vinyl needle case. 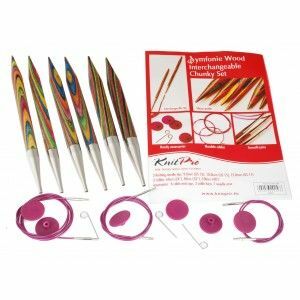 Set of 14 Symfonie Cubics Interchangeable Circular Needles (7 sizes – 2 needle tips in each size:4.0, 4.5, 5.0, 5.5, 6.0, 7.0 & 8.0 mm), packed in attractive Black jacquard fabric case. Set os 3 coloured wood cable needles: 5'5, 4 and 3'25 mm. One Natural Wood Knooking Needle. 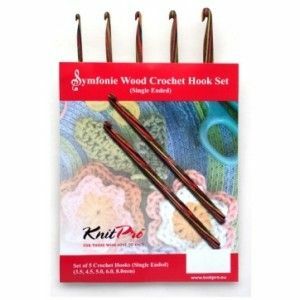 Set of 16 Symfonie Dreamz Single Pointed Needles (8 sizes – 2 needles in each size: 3.5, 4.0, 4.5, 5.0, 5.5, 6.0, 6.5, 8.0 mm) packed in very attractive Black jacquard fabric case. Fixed Circular Neeedles Basix Birch 120 cm cable. Powered by Prestashop™. All Rights Reserved.